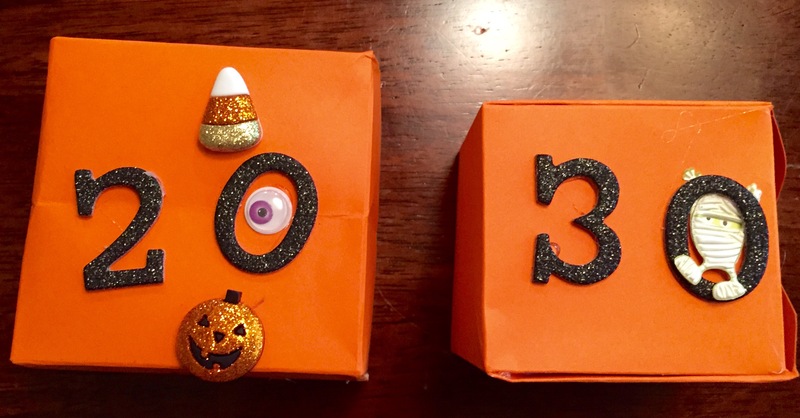 One of my favorite creepy countdown boxes. Nevada! You have to LOVE a state that joined the Union in the middle of the Civil War on Halloween!!!! As you can see, we Nevadans take Halloween very seriously. In fact, it’s a state HOLIDAY!!!! 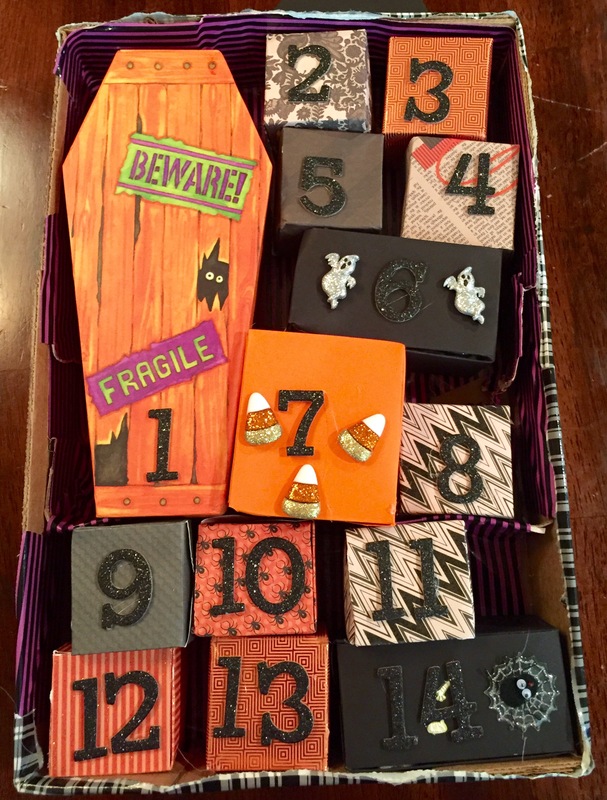 Years ago at Pottery Barn Kids, I saw this really neat Halloween Countdown Calendar. Really, I should have bought it. 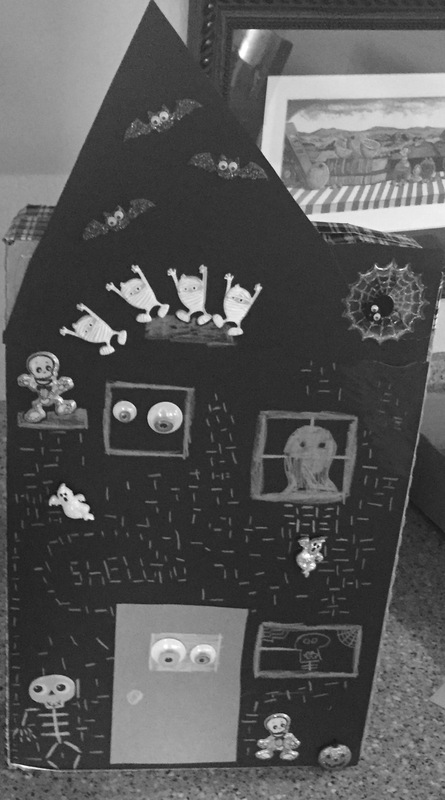 It was a wooden haunted house with little doors and windows that opened so you could stuff treasures and/or candy inside to countdown the days until Halloween. I was being cheap at the time and decided to pass it by. BIG mistake, because all these years later, I am still dreaming of it. I started searching the Net for something similar and really did not hit on anything that I really liked. Or sure, they had a few items on Etsy and I did look at this year’s Pottery Barn Calendar (but it was fabric and you just move a little a pumpkin or ghost or some such thing to a new pocket each day). Now to make our own! Cinco and the Princess were immediately up for the challenge. They LOVE to find old junk and try to make it into a craft. Our first stop was Michael’s to see what we could get in the way of decorative items and or boxes to put our Halloween treats in. I looked up DIY Christmas advent calendars to get some ideas. Several were very elaborate and well beyond our skill levels. But, one suggested getting little wedding party favor boxes and stuffing those. I liked this idea and was going to act on it. But, then Queen Gram intervened. Thank goodness we brought Queen Gram with us to the store because she found my new favorite toy a box maker! Okay, super crafters may already know about this. But, I just found out about it and I LOVE IT. 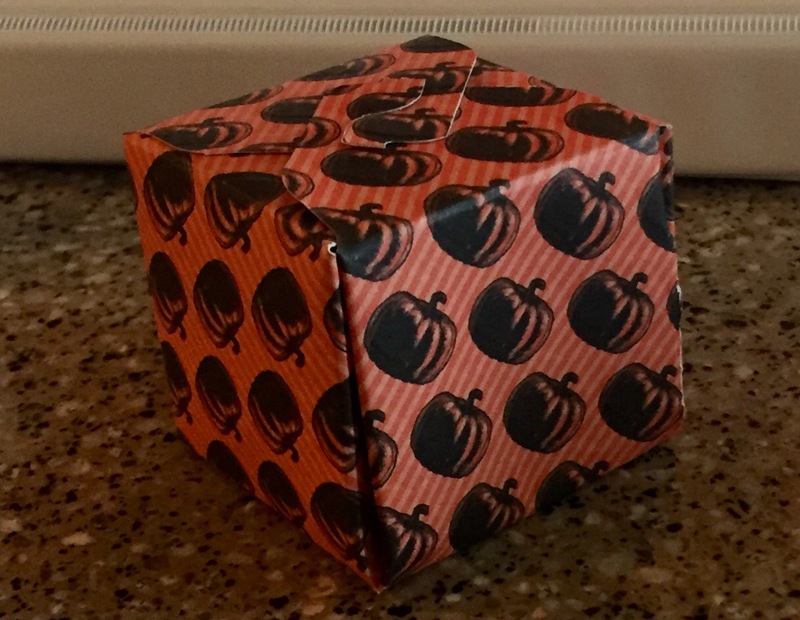 We were able to make boxes in several sizes using some fun, decorative Halloween paper! Love the Creepy Google Eye and the Mummy coming out of the zeros!!! 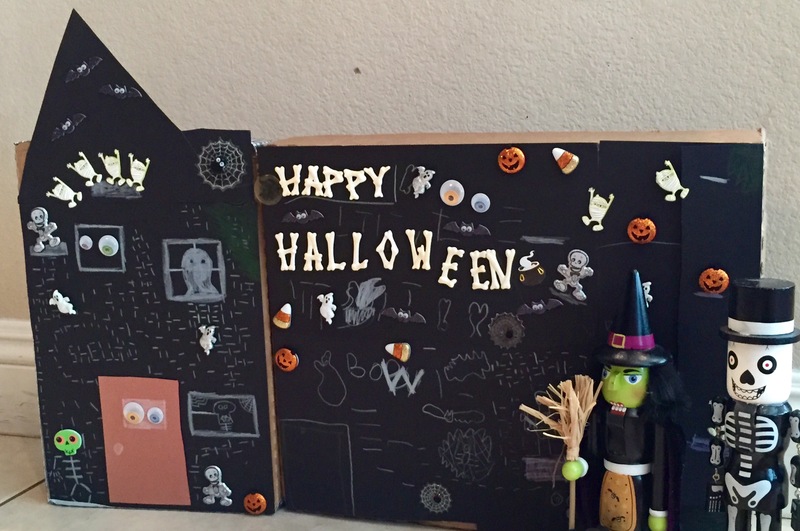 Haunted House designed by Cinco! Then we took the cardbox pallet from a case of water and decorated it to look like a haunted house. 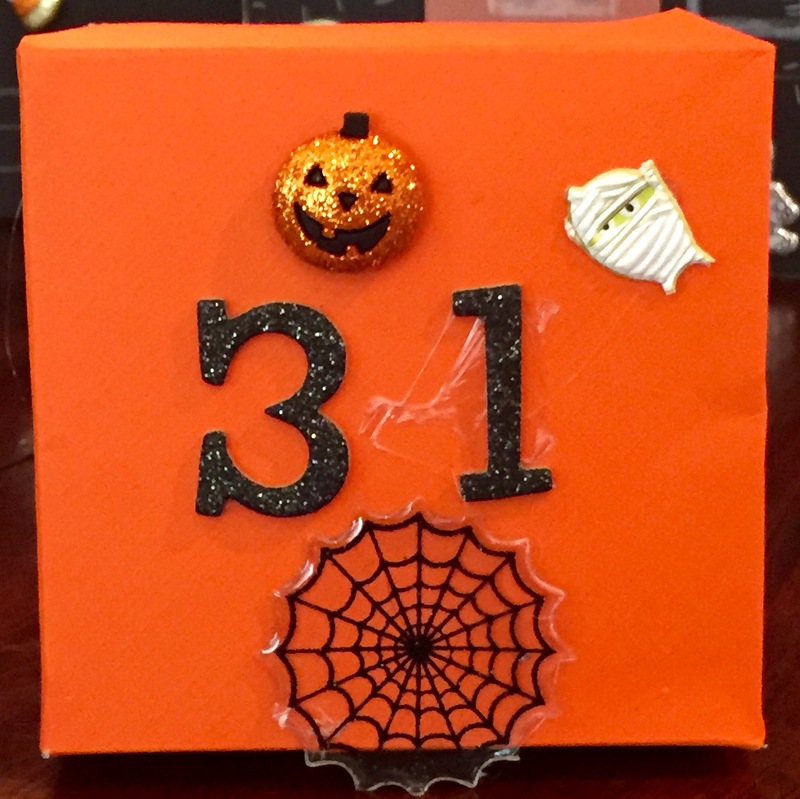 With some cool embelishments, black paper and a white colored pencil we made our own nifty haunted house countdown calendar. I , of course, filled the treat boxes. 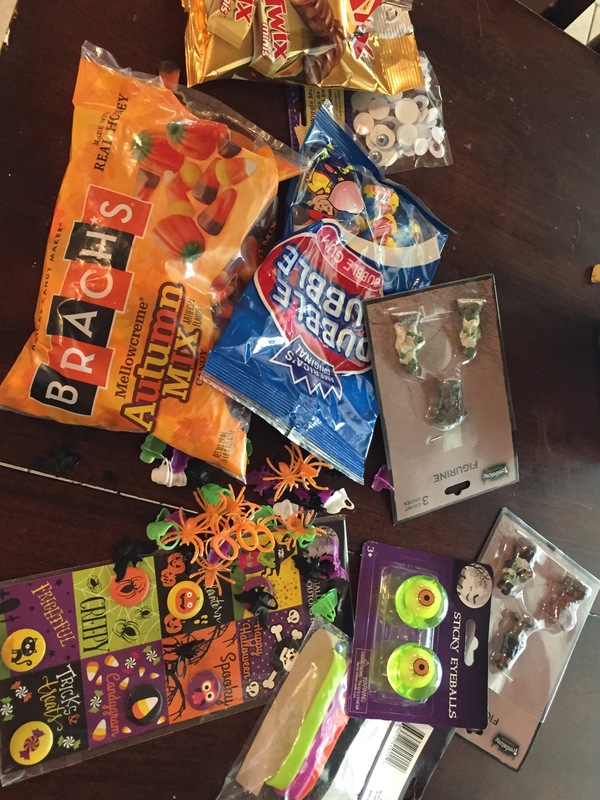 Some with candy, some with toys, some with spooky junk. Now, we are just waiting for October to hurry up and get here!!!!! And, of course, I am already thinking all about making another one for Christmas and maybe even a New Year’s Eve countdown! Oh what fun. The Princess decorated the horizontal portion ans was obessed with the bone letters!